Before, any yellow card got in the Premier League, EFL, FA Cup or Carabao Cup would be totted up together. At the point when a player got five yellow cards they would miss the following match, in whichever rivalry that might be. Achieving 10 yellow cards would see the player miss the following two diversions. Furthermore, 15 would bring a three-diversion boycott. In any case, from this season yellow cards will just check in the opposition they are gotten. What's more, this has prompted the accompanying changes. 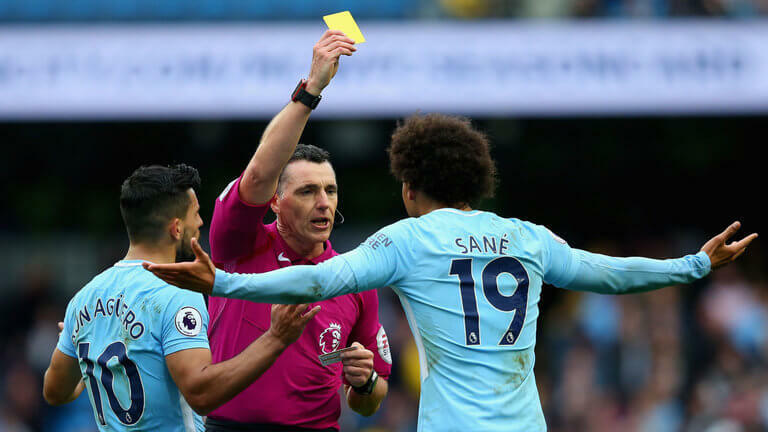 The FA is trialing another framework where "yellow and red cards will be issued by coordinate authorities for unfortunate behavior submitted in the specialized zone." However, in the Premier League admonitions will be "issued verbally without the utilization of cards." That implies we will just observe directors physically be indicated yellow and red cards in the FA Cup, the Carabao Cup and furthermore in the EFL. Training staff who are reserved/verbally cautioned will get a touchline boycott for aggregate offenses, similarly as players would be with yellow cards.